The startling and scary trend of avoidable health blunders by Nigerians in this information age should ordinarily provoke every responsible government into deep introspection and action. Cases abound of situations where sick persons are paraded on streets or publicized in the media with a call to support them financially to pay medical bills or be flown abroad for better healthcare. In the absence of health insurance scheme, the price being paid for medical service can be very abrupt. Admission to a hospital can involve various costs such as charges for a range of diagnostic tests, drugs and even a re-examination fee. Though going to governments’ hospital is cheaper yet when surgery –major or minor is involved, paying off the expenses can still drain one’s savings. While ability of a government to meet and cater for the health needs of its citizenry remains a sure proof of a caring and worthy leadership, it is a reality that health sector is very huge and resource-demanding for government to make all services absolutely free. The dominant arguments in the recent time have been the option of symbiotic financing scheme to mobilize funds for the health sector. Borrowing from how patients pay for healthcare around the world and the general standard of care they get in return, it behoove on Nigerians as well to start saving and investing in a suitable health insurance. This is because with a proper financing scheme, a number of things would be taken care of, one of which is access to quality healthcare. Generally, insurance is a relatively new concept to us in Africa, and Nigeria is not an exception. Insurance is just a culture that we are not used to and health insurance is not an exception. When you tell people to come and pay money for a health event that might take place in the future, the quickest thing that comes to mind is that there is a sickness/illness. So, the likely question might be: Why do I want to pay for sickness in advance? Am I praying for illness? With our religious background, the first reaction would be: “God forbid! I reject it! It is not my portion.” So, it becomes very hard to convince people. The irony of it is that it is a practice that is common among our people. For instance, if someone in a group runs into compounded and costly health related trouble, the usual thing is for others to start rallying for financial support on his/her behalf. So, the concept is there with us. Health insurance is just putting that practice that is already with us in a well structured manner. It is, therefore, in wanting to follow this honorable path of ensuring a healthy population, that the Lagos State Government in 2015 introduced the mandatory health insurance scheme in the state. Of course if the health insurance is fully implemented, it would change the entire picture of the health sector because it will address the core issues and people soliciting support to offset medical bill would be near to nothing. The new Lagos State Health Scheme is a state-wide, mandatory and pre-paid health insurance scheme aimed at providing financial protection against catastrophic healthcare spending. However, it is important to note that there is no health insurance programme that covers all health conditions. The scheme will cover treatment of common adult and childhood ailments (like malaria, typhoid, measles as well as immunization), maternal and child services, preventive healthcare services, selected non-communicable diseases and surgeries. Before the law came onboard, Community Based Health Insurance Scheme (CBHIS) was test-run in three communities. The first in Ikosi Isheri at the Olowora Primary Health Care (PHC) in July 2008 with over 19,000 people reportedly enrolled as at 2011. The second community was Ibeju Lekki, which was launched in March 2011 in two facilities Awoyaya and Iberekodo PHCs with over 10,000 enrolled as at 2014, while in Ajeromi Ifelodun, which was launched at Tolu PHC on January 15, 2013, 9300 enrolled as at 2016. It could also be recalled that in support of the Scheme, a proof of concept, supported by the PharmAccess Foundation took place in 2017. The proof of concept which mirrored the Insurance Scheme was implemented to demonstrate how the scheme can improve the lives of the most vulnerable population at scale. The Fiscal Space Analysis to identify available and additional resources for the scheme in short and medium term to safeguard sustainability was also satisfactorily done. Also, Poverty Probability Index identification tool was administered to identify those eligible for the pilot programme. 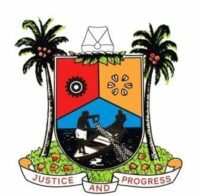 The result of the pilot had shown that the scheme is doable and is a step in the right direction towards achieving Universal Health Coverage for the residents of Lagos State. It is on the strength of concerted groundwork, the government is convinced and now expediting action on full implementation of the scheme. This is even as the state is targeting an enrolment of at least 2.5 million residents in 2019 with a projection to reduce health issues by 10 per cent. Expectedly, government is presently doing a lot of publicity to communicate the scheme to the citizens. On affordability, with the sum of forty thousand naira (N40, 000), a family of 6 is taken care of on a yearly basis. If it is quickly embraced, it will reduce mortality rate including maternal, newborn and child mortality; ameliorate the health condition of so many people especially the poor; reinvigorate the economy especially the insurance sector; improve health care delivery, among others. The State government made the scheme mandatory because it doesn’t want to toe the line of the federal government’s National Health Insurance Scheme (NHIS) which was made optional. Countries that have successfully implemented health insurance scheme made it mandatory. Again, the health sector requires a lot of investment. But the government will set aside equity fund to cater for the poor and vulnerable. For residents already under NHIS, the arrangement is that the State would not force them to join the new scheme, but focus on the people who don’t have at all. In sum, irrespective of financial class people belong to, health insurance scheme is a way to save for the raining days, as a citizen may not know when he or she may fall sick. It would also help to eliminate out-of-pocket payment for health, which is the way to go, as most developed countries started it many years ago. It is, however, incumbent on health providers to creatively plug all the loopholes that make or might make people averse to the scheme.